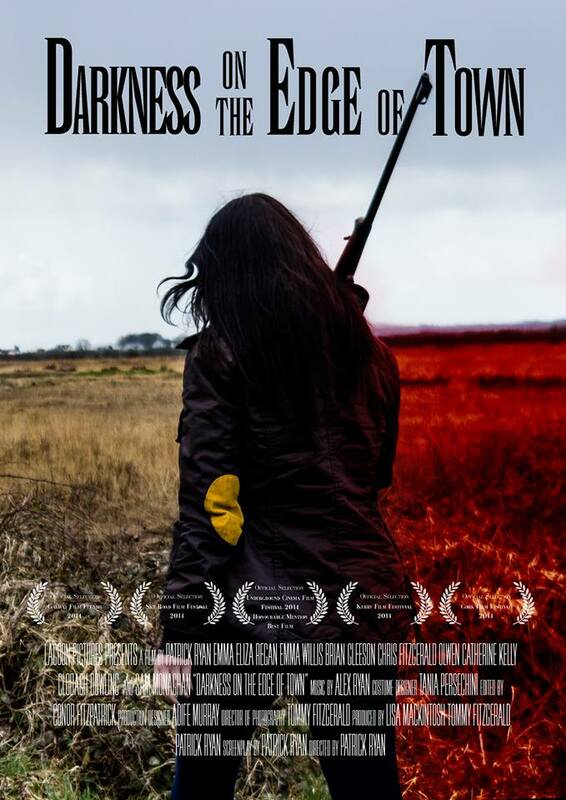 As beautiful as it is bleak, this Irish western is an intimate tale of blood, betrayal and loss. The Irish landscape may not be an obvious backdrop for a western to play out, but make no mistake, the blood of the old west strongly flows through the veins of this dark and taut film. A journey of revenge begins when a woman is murdered in a dingy bathroom and her sister (Regan) decides that she must seek out those who took from her family. It’s classic western/thriller territory really that’s bolstered by fine performances, the superb use of the Irish setting and the welcome decision to let us in on who committed the crime from the offset. We don’t spend the film wondering who did it, instead we’re concerned with when exactly our lead is going to realise just how close to home the killer lies. I have to talk about the visuals on display here. The Irish landscape is made both bleak and dangerous whilst its outstanding beauty is never compromised. It makes for an intoxicating atmosphere that fully justifies its place alongside the powerful dusty plains of traditional westerns. This could have been where the film really struggled but thankfully the countryside feels as intrinsic to the story as the genre demands and strongly delivers in terms of grit, beauty and power. The elements which really tie this backdrop together are made up of the score which is evocative and lingers in your mind long after the credits roll, and also Regan’s performance. She plays her character as if she is an extension of the landscape itself; cold, fiercely volatile and fragile in equal measure. She deftly handles the emotional roller coaster ride that her character goes through, often without saying much at all. There are a couple of small flaws here which need to be addressed. Firstly there is a ‘villainous’ character who, despite having a handful of scenes in the film, never really gets developed enough as a threat and so doesn’t really earn his place here. It’s not the actors fault, if the film had been lengthened by a couple of minutes for him maybe he could have been improved but… equally I wonder whether the film would have been better off losing him altogether and being more concentrated. The other niggle is that a couple of the physical struggles here are a little unclear at times, it takes time to figure out who is doing what. Not to worry though as these are few and far between as much of the violence is committed through the barrel of a gun and even more is found in the silence between words. It’s a rare blessing to find that an indie film which you have supported and have eagerly anticipated really is as good as you had hoped it would be. Inevitably you often set yourself up for disappointment with your unrealistic high hopes, but thankfully I can say that Darkness on the Edge of Town is everything I wanted it to be and more. The visual look of the piece is excellent, the score nicely underpins the film with a chilling and dangerous streak and the acting is excellent across the board. Emma Willis and Brian Gleeson round out the cast; Willis impressing in a very complex and challenging role which manages to elicit both hatred and empathy from us, and Gleeson using less screen time to give us a nicely observed look at a man with few options and no one to turn to. I really recommend this film to all of you, particularly if you have a thing for westerns or thrillers, but really this will also appeal to everyone who wants a nicely written piece of human drama. What is the film’s greatest strength? The film’s mood and tone, smartly using the setting to full narrative effect. Its greatest weakness? One ‘villain’ could have been fleshed out a little more, they felt strangely lacking. Would I see it again? Without a doubt, I’m really looking forward to it! Thanks for reading, feel free to blast out your thoughts in the comment box below! It sure is! Can’t wait for you to see it and hear what you think. This sounds like one to watch!